Sabretooth summons Birdy who fires some shots at the enemy. Sabretooth slashes through his enemy. 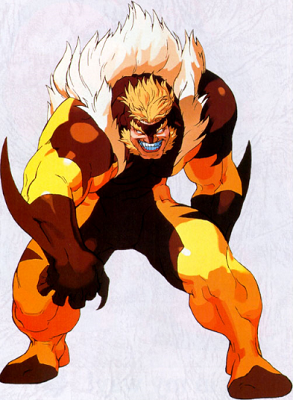 Sabretooth does an anti-air like jump before delivering a big autocombo. Sabretooth Berserker Claw's back and forth with his foe in the middle.